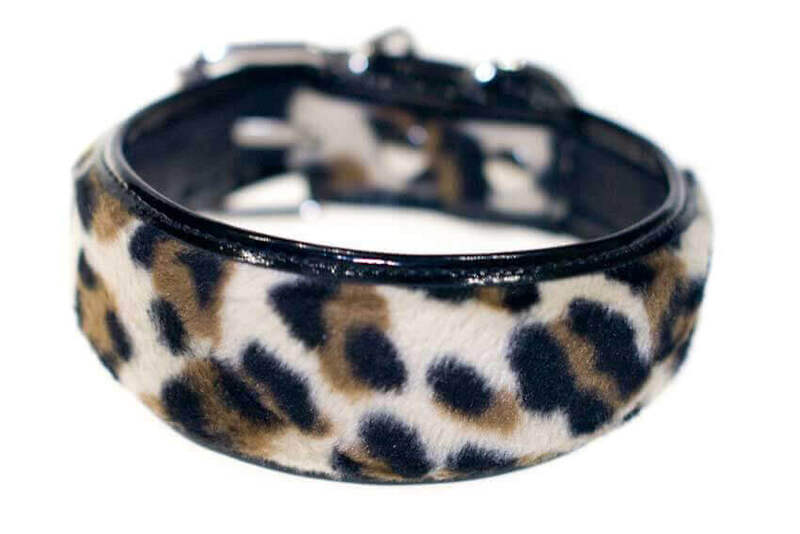 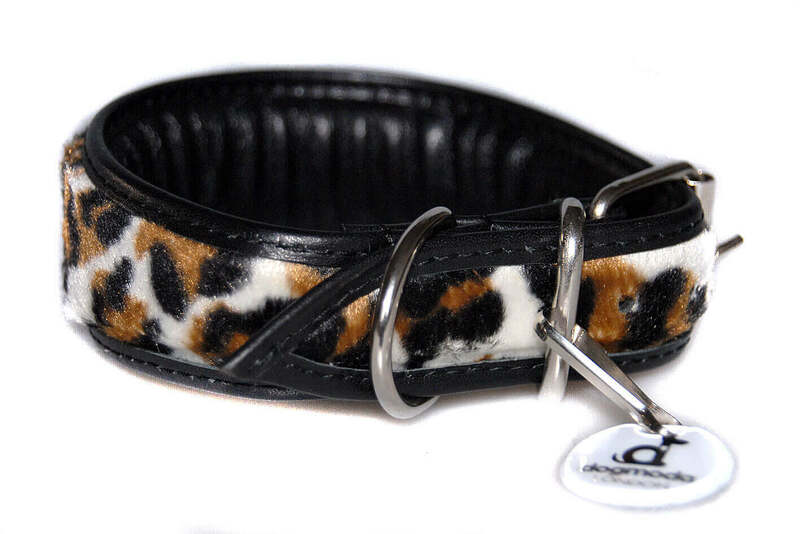 Hound collar made from faux fur leopard stylishly finished with black piping and lining. 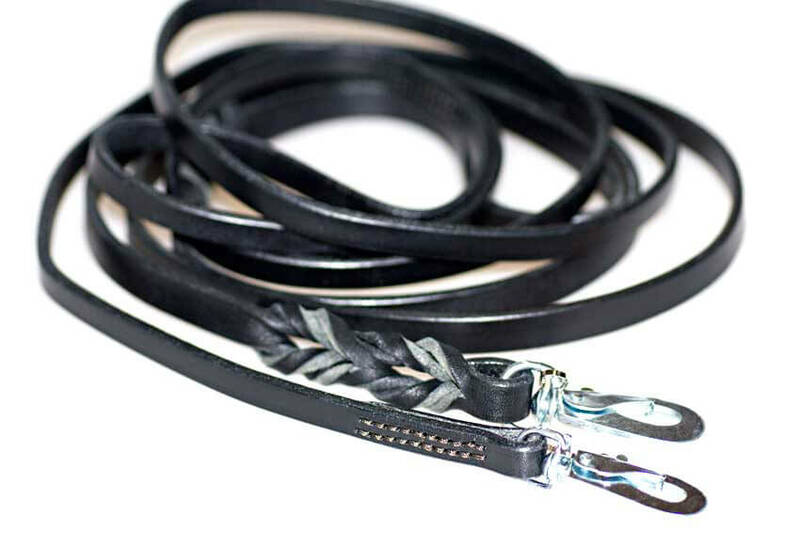 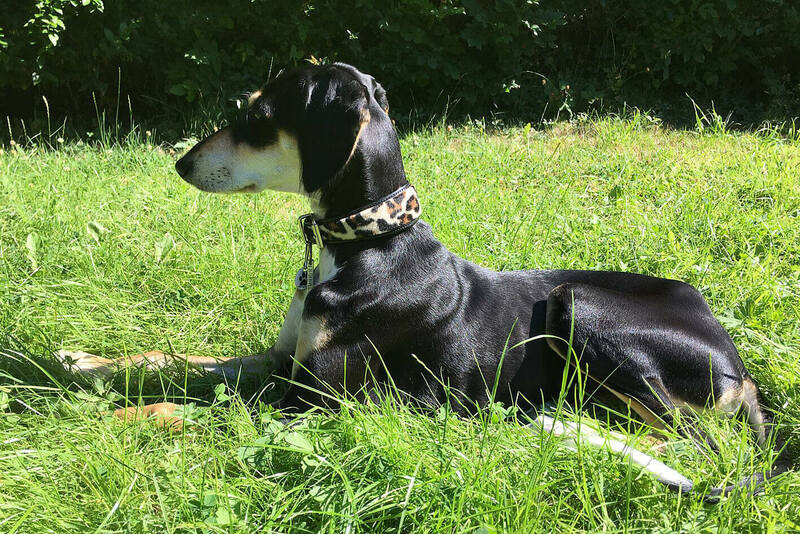 One of our best selling whippet collars looks stunning on black, gold, red and white sighthounds. 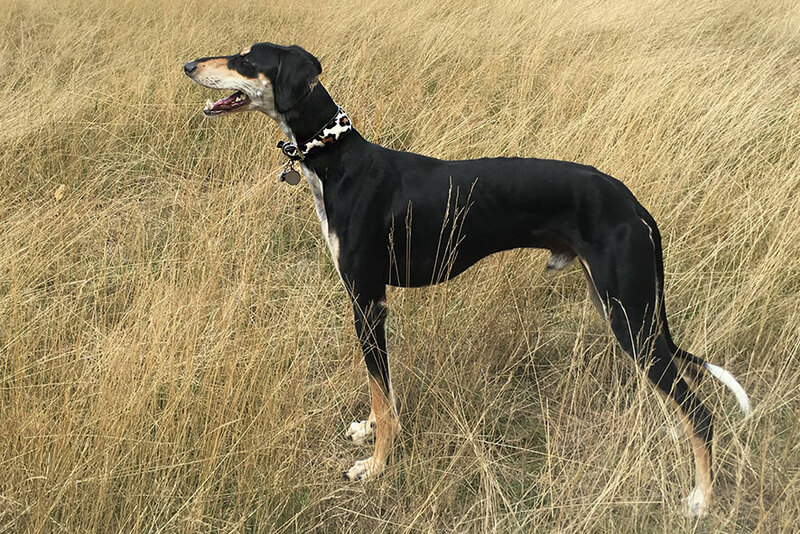 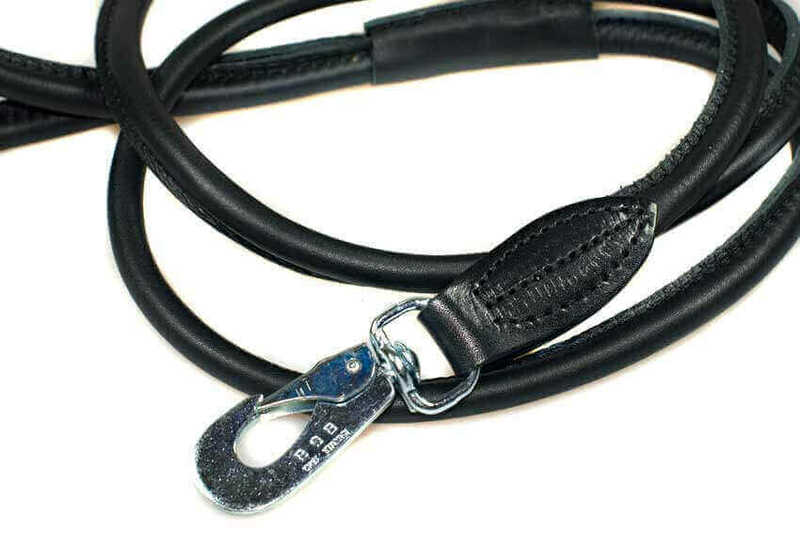 Due to the nature of this pattern no two hound collars are the same, each collar is slightly different and unique.